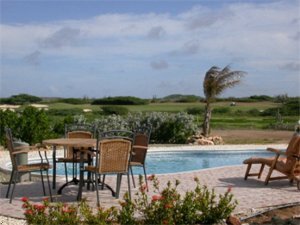 One of the few master planned communities in the Caribbean is located on Aruba. Tierra del Sol Resort, Spa and Country Club, anchored by the award-winning Robert Trent Jones II PGA championship golf course, enjoys dramatic views of both the islands rugged north coast and the serene aquamarine waters of the west coast.We challenge you to escape on a truly amazing vacation, with luxurious extras that begin the minute you arrive in your destination. Anything is possible. Come see for yourself.